October | 2015 | shigekuni. You see marked the inaccurate facts (bottom) and the dubious hiding away of the translator (right) in the Quercus announcement, marring, what is otherwise a joyous occasion. If you don’t follow me on Twitter, two bits of news regarding soon-top-be-published books may have escaped you. One is the upcoming publication of an English translation of a Mikhai Shishkin novel which is apparently “Shishkin’s Ulysses“. This exciting announcement is only marred by the fact that Quercus calls it Shishkin’s first novel, which it apparently is not, and they chose to squirrel away the translator’s name in a tiny, expandable box in the margins of the page. Secondly, and this comes without a link to Twitter, Mircea Cărtărescu’s new novel will be published by Humanitas this month. It is called Solenoid and will be about 850 pages long. That’s right, eight hundred fifty pages. There’s the cover to the right. And given his ascendancy to critical darling in France, Germany and the US, there’s a chance it gets translated quicker than Orbitor did. I don’t think I can get my Romanian to literary reading levels any time soon, but there’s a *chance* someone else might write a review of the book for me. When you don’t have a lot of time to read for entertainment, you can get the impression that you can’t really be surprised anymore. At least this is how it feels to me. I pick up books that turn up in my usual circles of reading and recommendation. That’s why so many of my recent reviews start by referring back to other recent reviews. And then there’s books like this one. Mentioned on Twitter by a Bishop scholar I admire, I picked it up on a whim, without any expectations. There was a Dickinsonian title with a twist, and a pretty cover and that was it. I had never heard of Max Porter before or the book (nor have I looked him up in the meantime) . And yet – what a tremendous, what an enormous achievement this little book turned out to be. A strange, odd, moving novel(la) that moves between genres, evoking Ted Hughes implicitly and explicitly, an overwhelming book that deals with the grief of a husband that lost his wife, of two boys that lost their mother. I didn’t read any reviews or interviews regarding Porter’s book. I don’t know whether the fictional tale in its pages is powered in any way by real, extratextual grief, but I don’t really care. This book is intense and emotional. It makes me feel, palpably, its narrator’s grief, it’s a strangely effective way to make its readers feel the topsy-turvy world that a family finds itself in once the mother/wife suddenly dies. Routines and reality are upended, people have to relearn normal behavior. In order to achieve that, Max Porter introduces a mystical beast, Crow. It’s hard to think what else one might expect from Max Porter in the future because this is such a strange book, but this is excellent, from the first to the last page. Read it at your earliest convenience. Crow isn’t just any crow. Porter’s protagonist is a Ted Hughes scholar (and, in modern parlance, a Hughes ‘fanboy’), at work on a book unenticingly called Ted Hughes’ “Crow” on the Couch: A Wild Analysis, and it’s immediately obvious that Crow, “a sweet furry stink of just-beyond-edible food, and moss, and leather, and yeast” is the same mythical bird that populates some of Hughes’ best poems. This is interesting, as it opens inquiries into questions of autobiography, myth and literature. 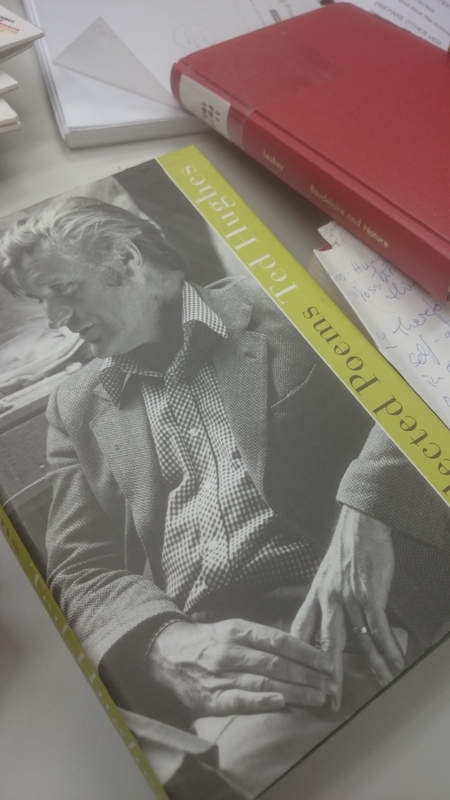 Ted Hughes remained interested in Crow even when he stopped writing poems about him, “pulled back onto the autobiographical level,” as he said in a late letter to Keith Sagar, and connected Crow to various myths and literary characters, among which King Lear provides a strange but interesting tangent for the book. But don’t let these remarks fool you. 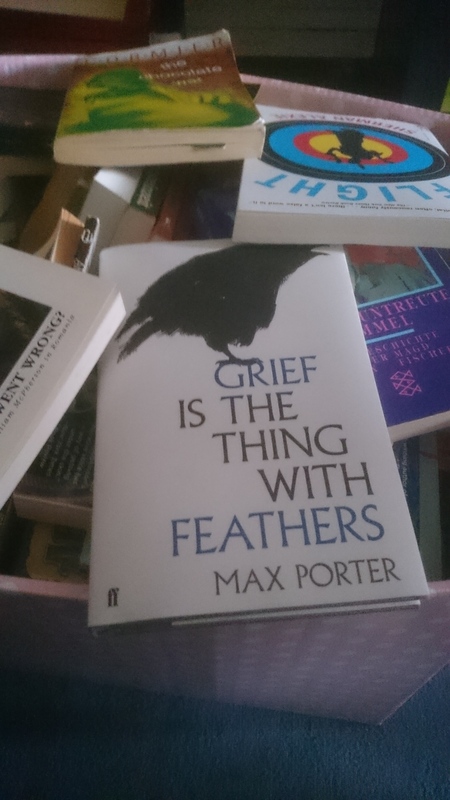 Grief is the thing with feathers is no mere academic exercise: its effect is powerful and immediate. The fact that it’s fiction may have helped it to bridge the gap between providing an aesthetically interesting text and a moving discussion of grief. I had recently started reading the memoirs of John W. Evans, a (sorta, kinda) acquaintance, who lost his wife in a terrible accident in the Romanian mountains and had to abandon her. It’s awful, and I decided not to review it here. Writing about grief is hard. Writing about various extreme emotions, yes, but grief is particularly strange. Evans chose to basically polish a bunch of essays he wrote for his therapist into book form. They deal with his guilt, with how wonderful his wife was, how unhappy he feels now. 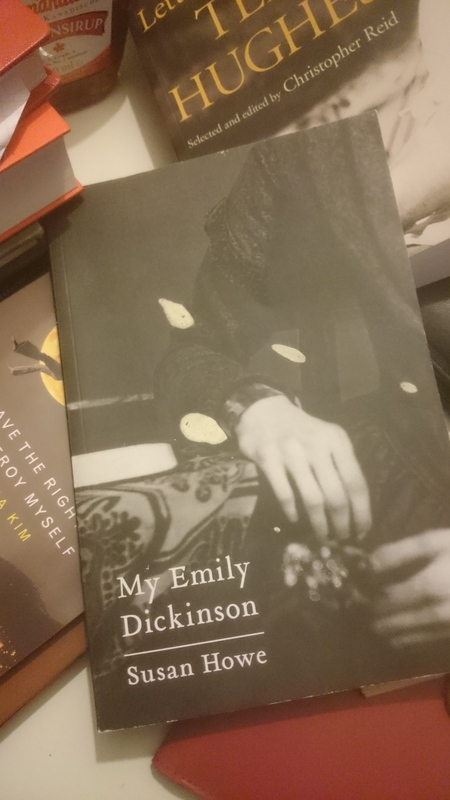 Except for the bizarreness of the accident itself, there’s nothing noteworthy about the writing or form of the book, and wading through a middle aged teacher’s self pity gets a bit tiring after a hundred pages. Self pity in exceptionally mediocre prose is just hard to take. The thing is, I’m sure I couldn’t do any better. It’s a genuinely difficult task. Even the great ones struggle. In his letters Hughes admits again and again to the overwhelming demands of writing with grief in mind. The Dad of the book and his two boys fill their days with clear and palpable detail – May Porter’s book is dedicated to the stink and rub and ordinariness of everyday life, refracted through the demands of grief and loss. The figure of the Dad doesn’t seem quite anchored in the daily life of the family. His disappearance becomes threat and nightmare to the boys, and meanwhile, Crow, of the dark world view, and the harsh speech, picks up the educational slack. His influence becomes most obvious in the way the mother’s death quicky turns into a kind of myth. It appears as if the boys and the book itself are working through what critic Jonathan Ellis (in an essay on Keats, Bishop and Hughes) described as the feeling of doing something illegal: “Talking to the dead as if they were alive feels ‘illegal’ because of the contemporary taboo that forbids prolonged mourning.” The boys’ parts of the narration are mostly told in hindsight. They are stories that are “mostly true” and telling the truth is a way to “be nice to Dad.” Meanwhile, the Dad does his own part in shaping truth – he is very selective about which parts of his wife’s life he wants to remember, and that selection does not include his wife’s death. Crow, in his primitive, feathered (ir)reality is a way to hold the family together, to keep enduring grief instead of breaking apart. The boys grow up to become dads themselves we learn and Crow becomes part of family mythology. 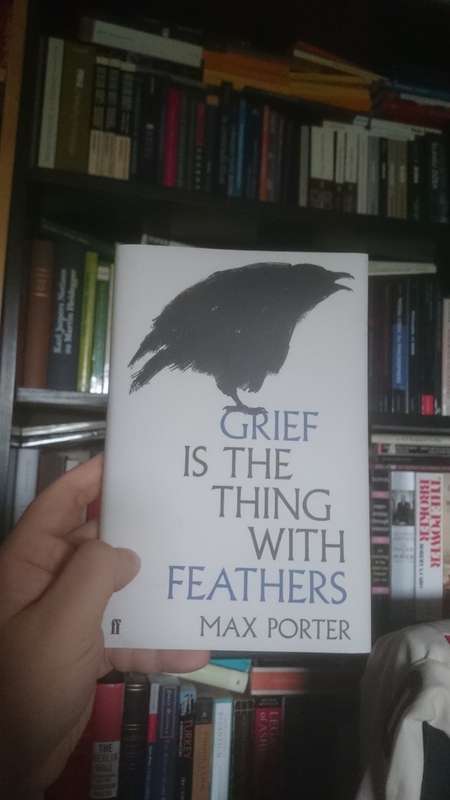 Max Porter does an impressive job of translating grief both into this mythical, literary figure of Crow, and into minute, convincing details. Such as when Dad tells us about how her absence affects his life, his perception of his surroundings: “She won’t ever use (make-up, tumeric, hairbrush, thesaurus). She will never finish (Patricia Highsmith’s novel, peanut butter, lip balm).” Meanwhile, the boys have their own way of making grief part of daily life: “We pissed on the seat. never shut drawers. We did those things to miss her, to keep wanting her.” Due to the compressed nature of his narrative, Porter picks events that are resonant with physicality and meaning, often to the point of overdetermining some chapters/poems in the book, such as when the boys admit that they have lied about their mother’s death to schoolmates. When Akhil Sharma had his protagonist lie about his brother’s accident, it was part of a larger theme of truthtelling, of assimilation, of storytelling as part of identity formation. With Max Porter, what we get is boys telling schoolmates that they killed their mother, a lie that is so rich in associations that it’s bound to overload the short, less than 10 sentences long chapter this lie is in. A chapter that ends with their mother giving them permission. Because of course, the book isn’t rich enough without the dead mother appearing to all its characters (but unlike Crow, this is not a shared hallucination). To refer back to Ellis, what we see enacted is “the belief that the dead person remains here […] not as object, as ashes or body, but as active subject, living, speaking, writing.” So what we have is a book that is a haunted house in itself or rather – to speak with Emily Dickinson, “a house that tries to be haunted.” Maybe that’s a way to describe Porter’s method: he’s offering us a structure with multiple ways to fill it with artificial, spectral life. And his success: that he did it in such a sometimes heavy handed way without crushing the life within it, without making it a pale exercise. 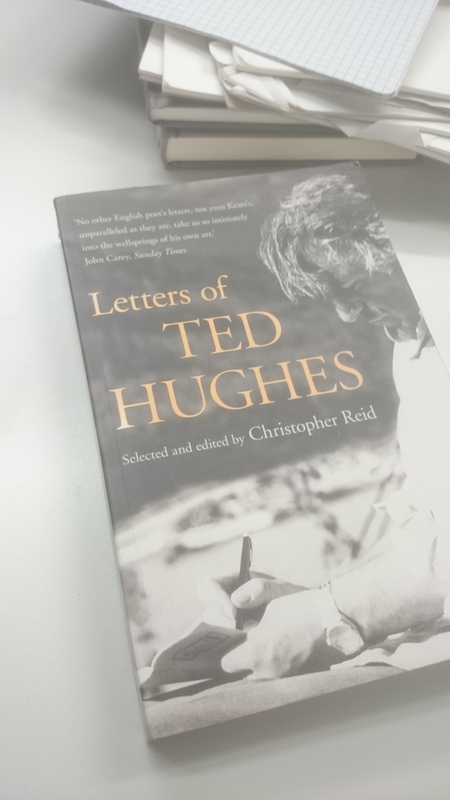 There is a way to read the whole book as a long, emotional comment on Ted Hughes’ work. Ted Hughes who lost his wife, Sylvia Plath, who left behind two children (though not two boys). Plath haunted the life of Hughes and her children, much like the absent mother in the book haunts the family here. 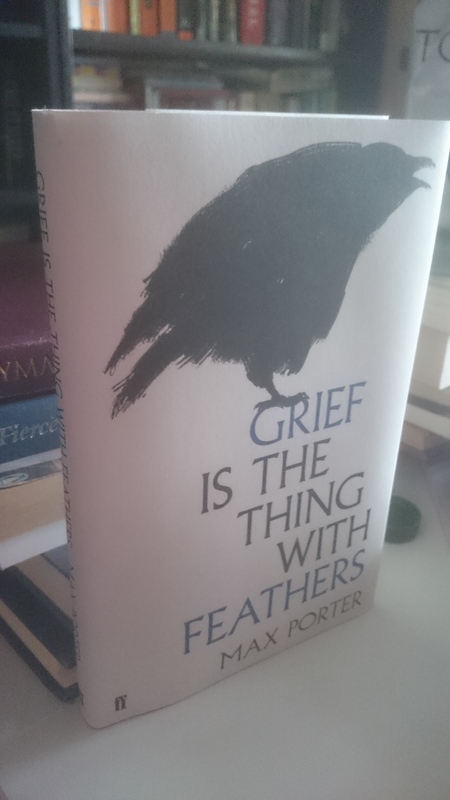 There are lines here that correspond to Hughes, some poems appear in form and structure to refer to Hughes’ work, and the choice of Crow itself, as I said earlier, has significance in the context of grief and death. Even as outlandish a detail as hallucinations of the dead mother have echoes in Hughes. He wrote, for example, in anotebook entry, that he “[d]reamed as if all night Sylvia had been brought back to life.” It’s tempting, but not feasible to make a list of all the references, the sheer overwhelming Hughesness of the whole text. It adds an interesting richness – given the connection between Crow and the historical myth of King Lear, as detailed by Hughes himself, I feel that the father, in some of his guises and absences turns not into Lear but into Edgar, or rather Poor Tom. She was soft and pretty and her naked body was dissimilar to my wife’s and her breath smelt of melon. But we were on the sofa my wife bought, drinking wine from glasses my wife was given, beneath the painting my wife painted, in the flat where my wife died. will resonate with people who put a long relationship or a marriage behind them, as well. And yet, for all the praise I have for the book, it’s clearly someone’s debut; it’s too much and too little all at once. It’s too smug and clever, and sometimes not intelligent enough. And I can see all these things while absolutely loving this book. It’s one of my favorite books that I’ve reviewed this year and I’ve reviewed a lot of good books. I don’t know what’s next for Max Porter and his prodigious talent, but I’m looking forward to it. If he can improve on Grief is the thing with feathers, we are in for some great stuff. Svetlana Alexievich wins the 2015 Literature Nobel Prize! Svetlana Alexievich wins the 2015 Literature Nobel Prize! Guys, let me have this one. This is the closest I ever came to getting it right. Did I wake up with a feeling Oates might win? Sure. Did none of my actual picks make it? Yeah. BUT LOOK AT THIS. I think we can agree I practically got it right. Also, I picked up 4 of her books from the library last weekend. HOW’s THAT FOR PRESCIENT. Meanwhile, if you want more than my desperate/sad gloating here’s a piece on Alexievich from last year’s New Yorker called “Nonfiction deserves a Nobel“, by Philip Gourevitch. Meanwhile, much as I was very happy about the award, the aftermath is starting to feel a bit like the aftermath of last year’s Nobel award. While last year, book journos were quick to proclaim the greatness of Modiano (I don’t agree), this year, they are wringing a kind of significance out of this award that I just don’t see. Gourevich and other reporters are understandably happy. But articles like Why Svetlana Alexievich’s Nobel Prize Is Good for Literature by Jonathon Sturgeon are unconvincing and bad. And I can see more of that to come. So originally I planned on mostly just reposting my old 2014 picks (because I, uh, picked wrong, as always), but I did end up modifying them. I mean, look, I have become very impatient with the insistence of the Academy to elect good-but-not-great white or European writers. I always found that the best attitude is not “who should win it instead” – but “has the winner deserved it?” Because the pool of excellent & important writers who cannot all win it, is just too large. And opinions vary. I wrote a longish piece on Modiano in the wake of his win, you can read it here. He’s very good, but he’s just not Nobel material. None of his work really stands out from the larger body of French postwar literature that examines collective and personal memory. The best writer of the bunch is probably Claude Simon, with Jorge Semprún a close second, and writers like Jean Rouaud and Patrick Modiano following behind that. Simon is an undeniably great writer (a very deserving Nobel winner), and while Modiano is not following in his footsteps, following a different literary lineage, I would argue he’s not appreciably different enough to warrant a Nobel Prize while other writers languish. A French Nobel prize – how, after the already dubious (but at least interesting) election of Le Clèzio, could it not have gone to Yves Bonnefoy? Or 91 year old Michel Tournier, whose best work far outstrips Modiano’s best? Or if French language, why not Assia Djebar? She passed away this year and it’s a shame she never won Literature’s most prestigious award. And while we discuss whether another white or European writer should win it (Banville, Roth, Fosse, Oates are among the names I heard over the past weeks), we hear nothing about writers like Nigerian novelist Buchi Emecheta, who writes excellent novels about the female experience in a country between colonialism and modernity. She’s smart, good, popular and significant and yet people dare to name Philip Roth as a deserving writer. Or how about Guyanese novelist, poet and essayist Wilson Harris. Harris is 94 years old, and has not won a Nobel prize yet despite having written an important and inarguably excellent (and extensive) body of work that’s insightful, experimental, political and addictively readable. Why wasn’t he picked yet or why isn’t he at least being prominently discussed, especially since it felt a few years ago as if the academy was doing a tour of all the important writers that were on the brink of dying, giving the prize to deserving and old writers like Pinter, Lessing and Tranströmer. They are the kind of significant, excellent writers that we sometimes think must already have won it. In general, as I pointed out last year, the award appeared to settle into a “sure why not” pattern of boring but unobjectionable writers. And yet, much as I liked my ‘observed’ pattern, Modiano does not fit it. If he died unrecognized there would have been no outcry about it, nor was there a general clamoring for his election, as there was for writers like Vargas Llosa. In fact, a different pattern, less acceptable, emerges now. These selections have been so safe, so European-friendly that I’m hesitant to be happy about rumors that László Krasznahorkai, a truly, deeply, excellent writer may win the award. He would be more than deserving, but at this point, the award needs to look at other continents, at other cultures, at other kinds of writers. And by that I don’t mean Haruki Murakami. In lieu of ranting about him, I direct you to this piece written by my good friend Jake Waalk on this blog. So let’s go on to my picks. ONE My #1 wish every year is to give it to a poet, being a poet myself and writing a dissertation on poetry. I also think the genre is criminally underrepresented. So in first place is poetry, and the three living poets that I consider most deserving. I used to put Bei Dao on the list (and not just because he’s charming in person), but two years after Mo Yan’s win, that’s not going to happen. My list of poets tends to be headlined by John Ashbery who I consider not only to be an absolutely excellent poet, but whose influence both on American poetry of his time, and on our reading of older poetry is importand and enduring. Given the circumstances outlined in my introduction, however, if an American poet makes the cut, I would vote for Nathaniel Mackey. Mackey is an African-American poet who has just won the Bollingen Prize, the single most prestigious award for poetry in the US. His work is powerful, experimental, moving and important. He draws from Modernist traditions and from postmodern impulses – but really, at this point, he has become a tradition in himself. Jazz, biography, politics and the limits of poetry are among his topics. 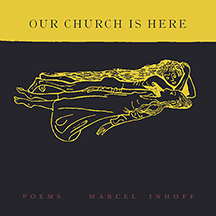 There are other influential experimental US poets who are still alive, but few can match Mackey for his mastery of language and his inventiveness in poetry and prose. Mackey would be an excellent and deserving pick. A close/equal second for me is Syrian poet Adonis/Adunis (Adūnīs) whose work, as far as I read it in French, English and German translation, offers poetry that is both lyrical and intellectually acute. He is a politically passionate poet whose sensibilities prevent him from writing bland political pamphlets. What’s more, he is critically important to Arabic poetry as a scholar, teacher and editor. In a region, where weapons often speak louder that words, and words themselves are enlisted to provide ammunition rather than pleasure, Adonis’s work provides both clarity as well as lyrical wellspring of linguistic nourishment. His work in preserving and encouraging a poetic culture in a war torn environment is not just admirable and fantastically accomplished, it is also worth being recognized and highlighted. In a time of religious fights and infights, of interpretations and misinterpretations, his work engages the language of the Qu’ran inventively, critically, beautifully, offering a poetic theology of modern man. A final intriguing option would be Ko Un. I have read his work in English translation, but I don’t read Korean, and can’t really discuss him. I find him intriguing and interesting, but there’s no way I can adequately discuss him. Selfishly, I would root for him winning just to read more essays on his work. 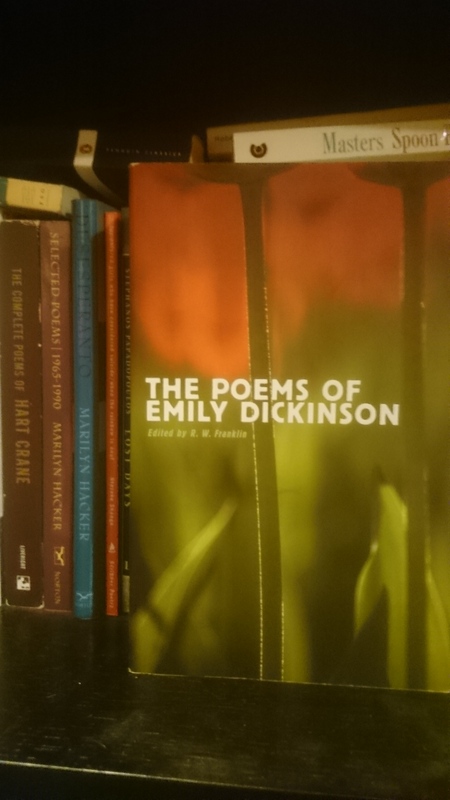 TWO Like poetry, nonfiction which has not had a winner in decades. So as in the previous case, I will mention more than one here. #1 surely should be Umberto Eco. While he’s also a novelist, and perhaps more widely known as such, his work in the fringes of philosophy and in literary criticism and theory is significant, wide ranging and influential. I don’t think any other writer as important and accomplished and widely read in his field is still alive. What’s more, his work is fantastically well written, at least in English translation. Similar things apply to my other pick in this category, Hilary Putnam. I always thought Stanley Cavell should be considered, with his wide range from philosophy to literary and film criticism, but as long as Hilary Putnam is still around, a nonfiction Nobel that is not awarded to him or Eco would be upsetting, Putnam’s increasingly mystical examinations of reality and language are blindingly well written and incredibly influential, even among the many people disagreeing with him. THREE Meanwhile, the novelist that I most want to win the prize is Ngugi wa Thiong’o. There’s his literary skill. His early novels written in English, as well as the more allegorical Wizard of the Crow and the recent, clear-eyed and powerful memoirs, all of this is written by an excellent writer. He moves between genres, changing techniques and eventually even languages, all with impressive ease. So he’s a very good writer, but he’s also politically significant. As the literary conscience of a tumultuous Kenya, he highlights struggles, the oppressed and shines a light on how his young country deals with history and power. In the course of his literary and cultural activism he was eventually imprisoned for a while by Kenyatta’s successor. 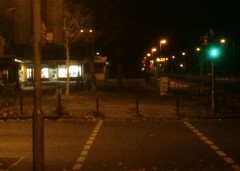 After his release he was forced into exile. Yet through all this, he continued, like Adonis, to work with and encourage cultural processes in his home country. Starting with his decision, in the late 1970s, to stop writing in English, instead using Gĩkũyũ and translating his books into English later. He supported and helped create and sustain a native literary culture that used native languages and interrogated political processes in Kenya. A cultural, politcal and linguistic conscience of his home country, it’s hard to come up with a living writer who better fits the demands of the academy. Of the writers I root for, this one is the only one who would also fit the “obvious choice” pattern of recent decisions. Wilson Harris, who I mentioned in my introduction, is a better writer in my opinion, but would be more of a stretch for the academy.